Incorporate this miracle food into your diet today! One of the many things I love about nettle is its energetics. Nettle is all about waking up! It will sting you if you handle it incorrectly, but it’s also the perfect food to move us out of hibernation and into spring. I consider it a miracle food — it is packed with vital minerals and nutrients — and I’ve been incorporating it into my diet for years. It boosts my energy throughout the day and has worked wonders for my skin and nails. Enjoy! Cook nettle in boiling water for 5-10 minutes. Drain well; save broth. Puree nettle in blender or food processor; set aside. Sauté onion in oil until golden. Add flour and cook, stirring for 2 minutes. Slowly add ½ nettle broth or milk and cook, stirring often until dry and thick. Add a little of this at a time to the beaten egg yolk, until they are well mixed. Now stir in nettle puree, salt and cheese. Last, carefully fold in egg whites. 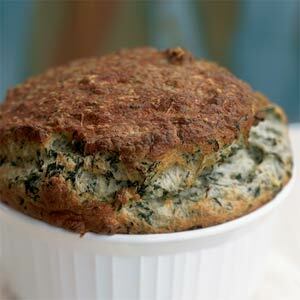 Put in a soufflé dish, bake at 350 degrees until firm, 30-40 minutes. Place nettle in bowl with milk; set aside. Sauté onion in oil until golden. Add flour and cook, stirring for 2 minutes. Add nettle and milk and cook until it thickens slightly. Add a little of this at a time to the beaten egg yolk, until they are well mixed. Stir in the salt and cheese. Last, carefully fold in egg whites. Put in a soufflé dish, bake at 350 degrees until firm, 30-40 minutes. Which brand or which company would you recommend buying seaweed and nettles?